One of the several county in the South East England situated by the coast known as East Sussex received a much higher average of sunshine a year. It is a fraction of the historic place of Sussex. Under this setting, professional violin makers also resides this place. Different musical stores were established attending to their customers from local and abroad. Hence, if you reside near the place and would love to buy violins, here's a list of the violin stores within East Sussex. Peter Ratcliff is a violin maker and also interested in dendrochronology which started in the early 1990. This method interests him to posses the world's largest database of tree ring patterns which allows him to compare the woods of mostly tested instrument . His knowledge in this field and modern repair techniques of musical instruments contributed to many research projects and publications. A well-established music instrument tuning and repair shop. 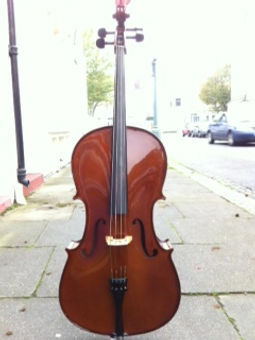 Gilbert cox is a reliable violin maker and had restored various stringed instruments for over 20 years. 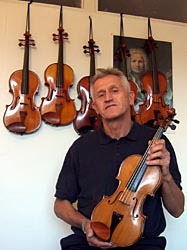 Maker and Restorer of fine quality violins, viola, cello and bows over the past 17 years. Also available for consult by some of the local music shops. They also provide a teaching studio for all aspiring makers of stringed instruments and bows. For over the past few years, they serve customers around UK and abroad. Always helps preserve, maintain, restore and care for the quality sound instruments for a reasonable prices also listed at their online store. 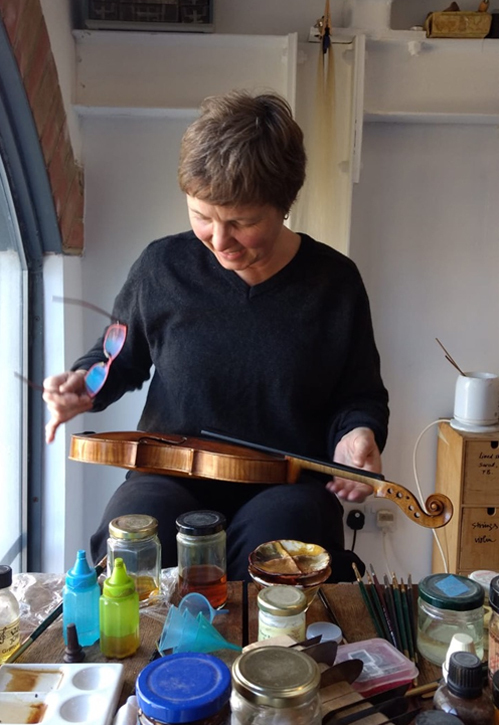 Since 1998, a former violinist Robert Haydon Clark, manages Academy violins producing a high standard repair, restoration, maintenance and expert opinions. The store offers a variety of instruments ranging from 18th to the 21st century for student to professional players. They can also convert instruments in the 18th century into their original baroque settings. Hobgoblin music has been in Sussex since year 1976. It started at Brighton last June 2014 and often described as an Aladdin's Cave of musical instruments. They had stocked a wide range of new and secondhand acoustic, folk, celtic and world musical instruments and had always been available for rentals and repairs. Contacts are recorded below readily accessible for review. Provides a friendly and approachable service in the top quality repairs of musical instruments for over 25 years. Kate Reynolds professionally completes the repairing and servicing in this shop. This is our shop: Oviolin! Always dedicated in delivering to any addresses in the East Sussex. Before you buy an instrument, be sure to view our violin catalogue.